Former President APJ Abdul Kalam has passed away after being admitted to a hospital in Shillong on Monday following a cardiac arrest at a function in IIM-Shillong. 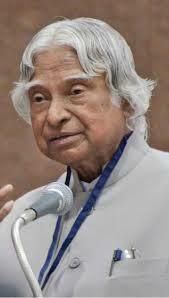 Kalam, 84, was the 11th President of India who held the post from July 25, 2002 to July 25, 2007. He was awarded the nation's top civilian awards, including Padma Vibhushan, Padma Bhushan and Bharat Ratna. He was a renowned scientist and is considered to be the main brain behind India's space and missile programme.Kalam spent four decades as a scientist and science administrator, at the Defence Research and Development Organisation (DRDO) and Indian Space Research Organisation (ISRO). He was the Chief Scientific Advisor to the Prime and the Secretary of the DRDO from 1992 to 1999. The Pokhran II nuclear tests were conducted during this period.